Item # 316395 Stash Points: 3,495 (?) This is the number of points you get in The Zumiez Stash for purchasing this item. Stash points are redeemable for exclusive rewards only available to Zumiez Stash members. To redeem your points check out the rewards catalog on thestash.zumiez.com. 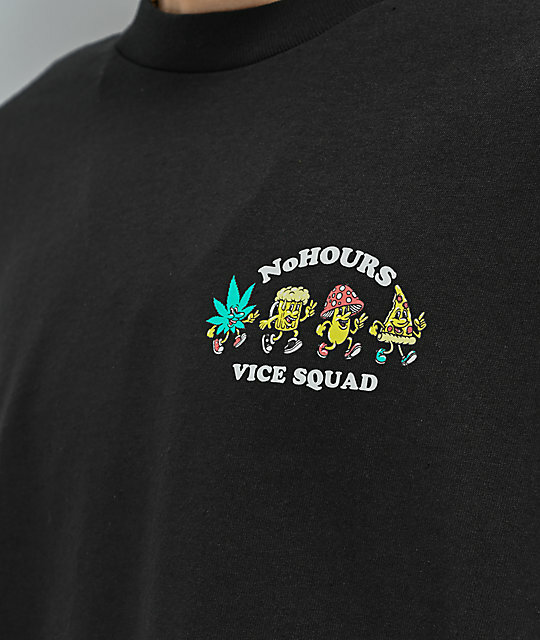 Everyone's got their vices and now you can wear yours loud and proud with the NoHours Vice Squad Black Long Sleeve T-Shirt. 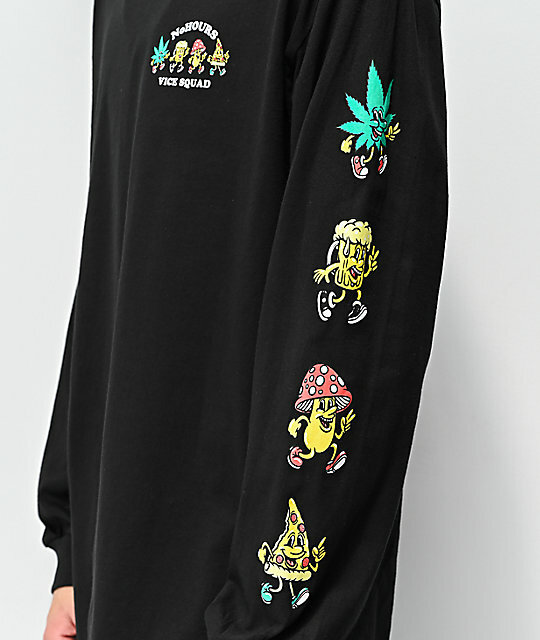 This graphic tee features four jolly characters, a pot leaf, beer mug, mushroom and pizza slice, all of which are displayed both on the left chest and left sleeve. 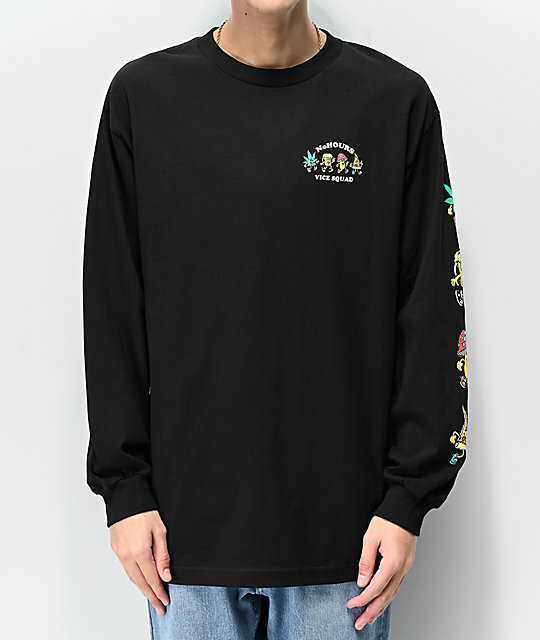 Vice Squad Black Long Sleeve T-Shirt from NoHours. Screen-printed logo graphics on left chest and matching graphics on left sleeve.